About the series: The work/family juggle is one of the biggest challenges parents face. In our 2016 special series, Making It Work, we go beyond tired-out debates about “having it all” to explore big issues, real stories and inspiring solutions. Making It Work is sponsored in part by carefully selected partner organizations that are committed to supporting parents and familes. This package is supported by Coordinated Care. Sarah Lien’s daughter is a model patient. Two-and-half-year-old Audrey has a toy doctor’s kit she brings to medical visits and follows along with her mini-stethoscope. The reward of a sticker afterward is a bonus. “Audrey loves visiting the doctor. She wants to go when she just has a paper cut!” says Lien, a Lake Stevens resident. Parents with fussy, fearful youngsters would welcome such enthusiasm. Add in the fact that some office visits are for as little as 15 or 30 minutes, and it can be a stressful situation. Here’s how to make the most of doctor visits every time. When making an appointment, clearly identify the purpose. It helps determine expectations and time required. Appointments generally fall within three categories. First, meet-and greets. Many clinics offer these as either in-person or phone appointments to help families become acquainted with a new provider. It lays the groundwork for good communication. Second, well-child checkups. 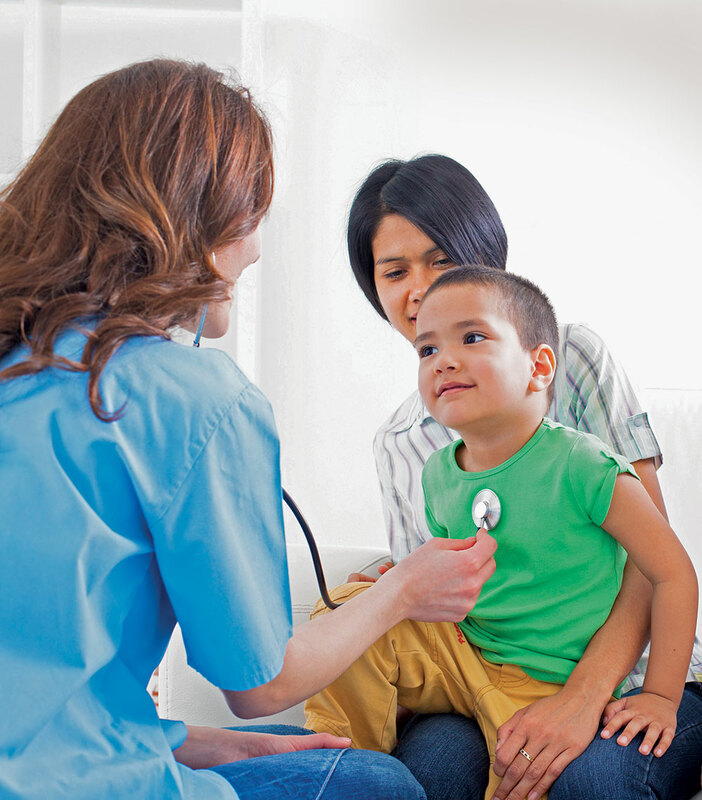 These routine physical exams vary in frequency depending on a child’s age. Babies often have these exams at two weeks and four months, while exams for older children are scheduled annually. The more detailed you are when making the appointment, the better the office can address your needs. Third, urgent appointments are for more immediate and specific concerns, such as severe flu, infections or injury. The more detailed you are when making the appointment, the better the office can address your needs. It might even be possible to coordinate with a nurse rather than scheduling an in-person visit. If you do go to the office, most appointments average 20 minutes. If you are running late, call ahead to determine if you should reschedule. Missing even 10 minutes may not allow enough time to cover what’s needed. Formulate questions beforehand and write them down, if necessary. It’s easy to forget something while attending to your child and listening to the doctor. Also, prepare a list that outlines all of your child’s medications with dosage information. Outline in advance any other information you can provide. According to Evans, this includes family medical history, recent travel, exposure to illnesses and any major life changes. “We also look at food intake, allergies and general home life. What are [a child’s] sleep patterns? Playtime is often overlooked, but not enough [play] can become an issue if they’re too stressed,” says Dr. James Kriseman, associate medical director at the Overlake Medical Clinic in Redmond. Lastly, make the effort to arrive the requested 15 minutes early to fill out forms. This ensures that time with the doctor isn’t devoted to paperwork. Keep in mind that doctor visits are a new experience for young children. Preparing them ahead of time mitigates fear of the unknown. Communicate clearly and always frame visits as something good for your child’s health. Evans agrees, both as a doctor and mother to her own 3-year-old. She and her daughter role-play a few days in advance, the night before and then discuss it again during the car ride to the appointment. Encourage your child to ask questions and contribute information during the appointment. “Most pediatricians try to have kids even as young as kindergarten or first grade put into their own words how they’re feeling. Sometimes that can be really valuable information,” McDermott says. Most importantly, think about environment. Lien dresses her children in clothes that are easy to take on and off. She also brings a blanket in case the exam room is chilly. A favorite toy or quick snack, if appropriate, goes a long way toward soothing anxiety. If your child has an outburst despite your best-laid plans, don’t sweat it too much. It’s all in a day’s work for an understanding provider. “Most pediatricians are open, receptive and have their own little tricks to help weather those situations and get through challenging parts of the exams,” McDermott says.